The USS Carl Vinson carrier group's visit to the central Vietnamese port city of Da Nang sparked a flurry of commentary about the visit's implications for Vietnamese-US relations. But political and defense observer Nguyen Minh Tam says that media "noise" aside, Vietnam's multi-vector security policy has remained constant all throughout. A US Navy crewman has been hospitalized after sustaining a “serious, non life-threatening injury” when he was hit by a plane in tow on the flight deck of USS Carl Vinson. The incident occurred as the Navy struggles with systematic problems believed to have contributed to a series of unfortunate collisions earlier this year. The Japanese Defense Ministry announced on Friday that the Maritime Self-Defense Forces and the US Navy have concluded large-scale joint naval exercises in the disputed South China Sea. 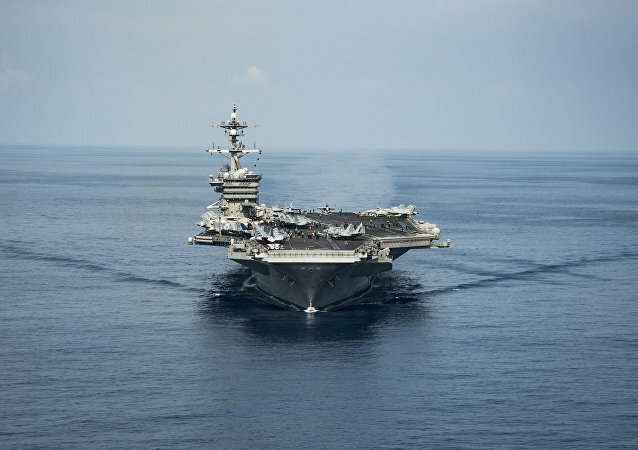 Japanese Air Self-Defense and Maritime Self-Defense forces began joint military exercises with the US carrier group led by USS Ronald Reagan and USS Carl Vinson in the Sea of Japan (East China Sea), the Japanese military announced Thursday. 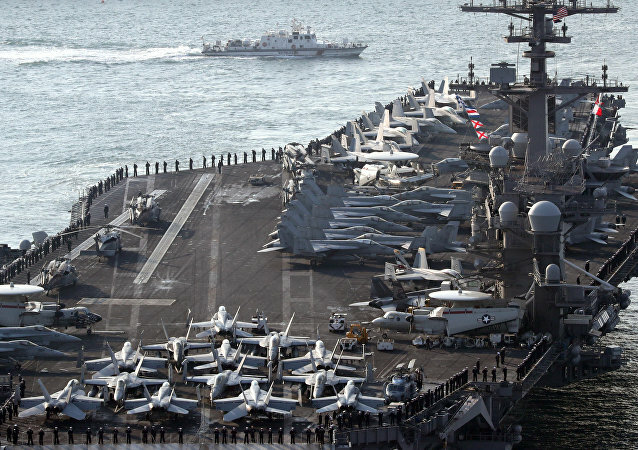 The US naval strike group led by the USS Carl Vinson will end its mission near the Korean Peninsula. 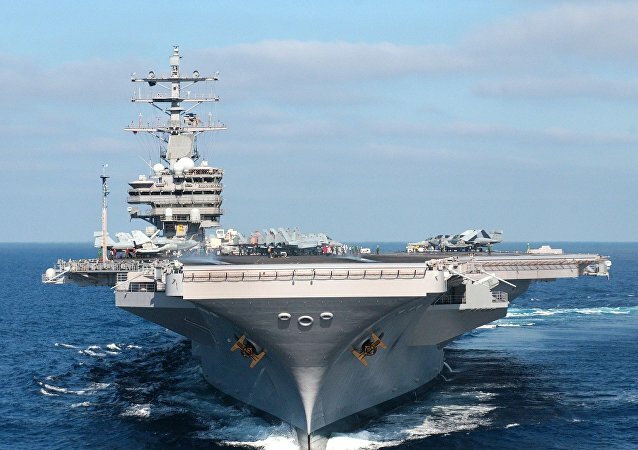 The US aircraft carrier USS Carl Vinson strike group, which has been stationed near the Korean peninsula since April, will remain deployed in the region for an indefinite period in the light of Pyongyang’s recent nuclear missile test, local media reported Tuesday. 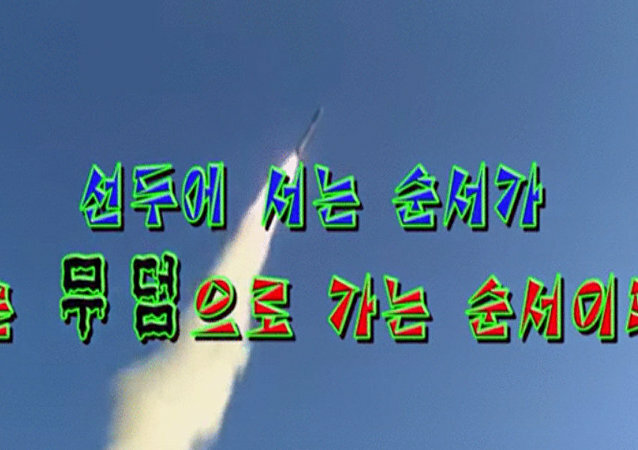 Korean Crisis: Is US Creating Shield Against Potential Nuclear Retaliation From Russia, China? There is a striking resemblance between the previous demonization of Iran and the ongoing media fuss over the North Korean crisis, Dr. Paul Craig Roberts wrote on his blog, suggesting that both episodes are smokescreens for deploying the US' anti-ballistic missile systems in close proximity to Russia and China. Russia and China agree that the crisis on the Korean Peninsula could only be resolved through diplomatic settlement and not by a military solution, Russian Ambassador to China Andrey Denisov said. The US is not ruling out the possibility of a major conflict with North Korea, but prefers a diplomatic solution to the crisis, President Donald Trump said in an interview on Thursday. Radio Sputnik discussed the issue with Andrew O'Neil, professor of Political Science at Griffith University in Australia. 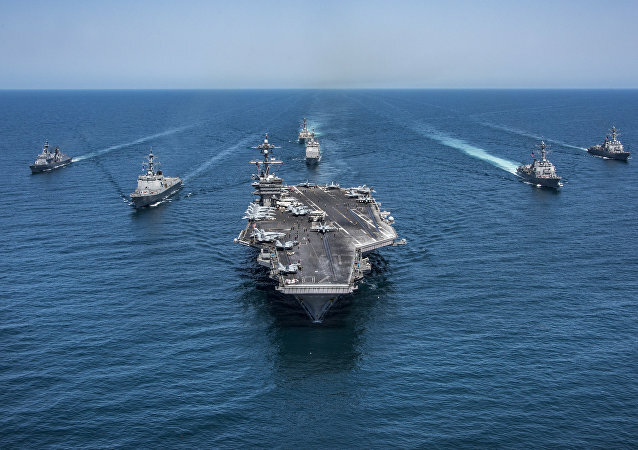 The US and South Korean forces started naval military drills on Saturday involving the USS Carl Vinson aircraft carrier amid North Korea's recent ballistic missile launch, the South Korean Navy said. The strike group of the USS Carl Vinson aircraft carrier has navigated the Tsushima Strait and entered the Sea of Japan, Japanese Defense Ministry sources told a local broadcaster on Saturday. Homegrown Aircraft Carriers: Is China Seeking to Challenge US Naval Dominance? 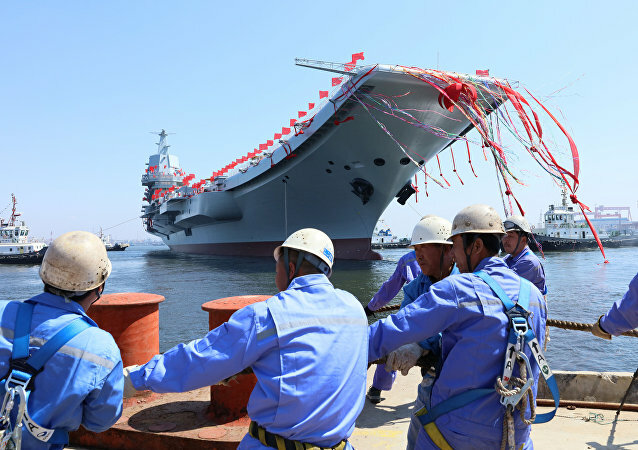 The launch of China's first homegrown aircraft carrier Type 001A has prompted speculations regarding Beijing's ambitions to become a global power. 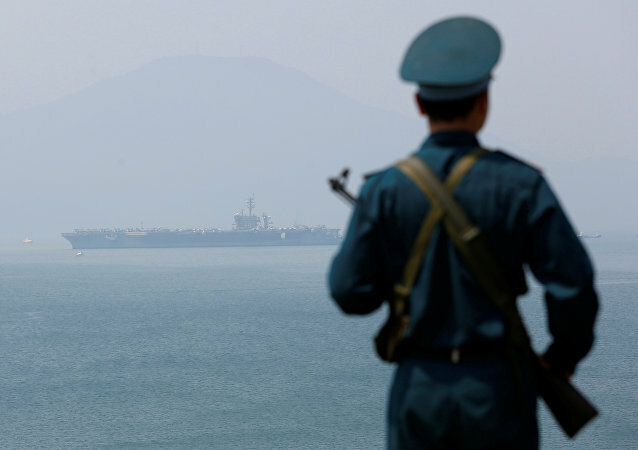 The question arises whether China is really seeking naval dominance. 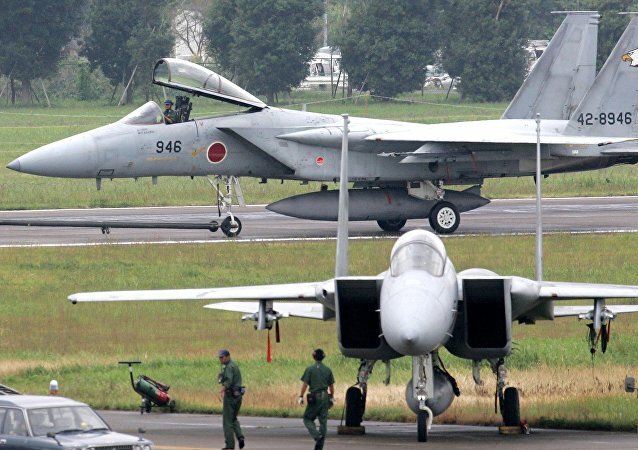 Japan and the United States carried out Friday joint air force exercises involving a US carrier strike group in the eastern part of the Pacific Ocean, media reported.